Sometimes you just want some cold, fresh oysters and a glass of wine. 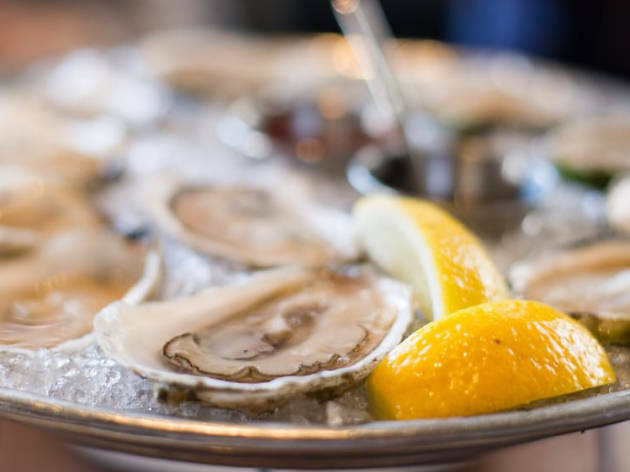 Coastal New England has some of the best oysters around, and Boston has lots of oyster bars where you can enjoy these little delicacies in style. 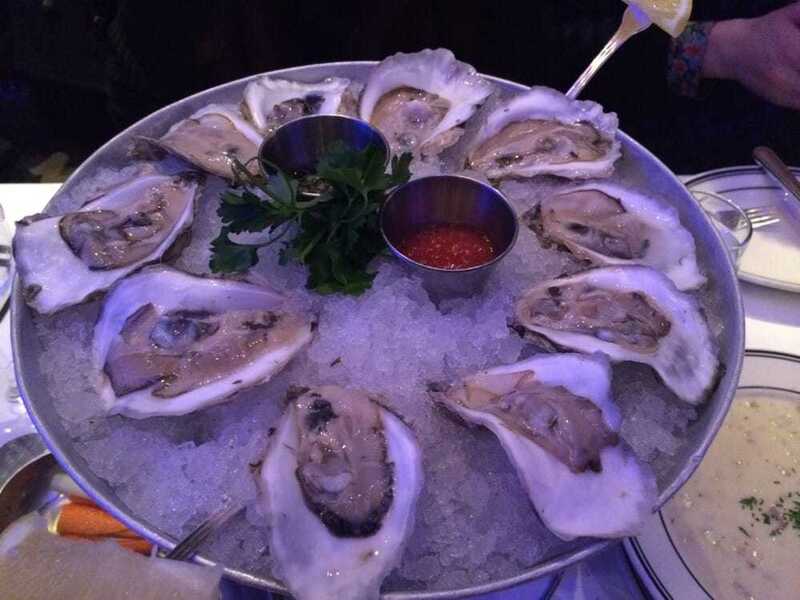 Whether you like your oysters on their own at a raw bar or in more refined environs to start a meal; whether you slurp them on their own or with delicate mignonettes; these are the best oyster bars in Boston to find Wellfleets, Blue Points, Island Creeks, and more. 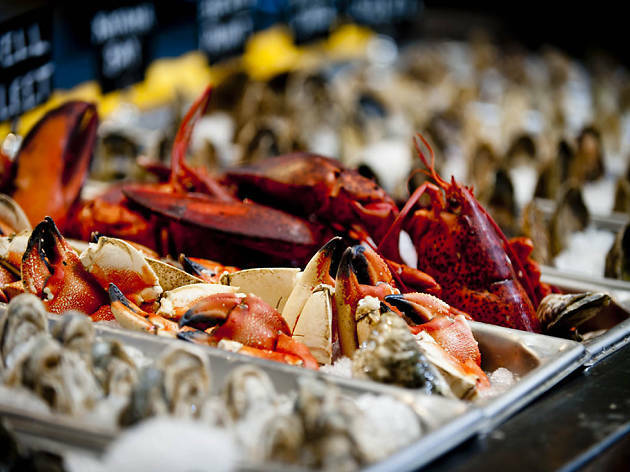 For additional seafood options, check out our list of the best seafood restaurants in Boston. Make a night of it by following an oyster tasting with a visit to one of the best wine bars in Boston. Neptune Oyster has been one of the city’s most in-demand options for fresh local seafood since opening in 2004. Its vibe is East Coast raw bar perfection, with a simple, retro interior and an excellent selection of seafood. 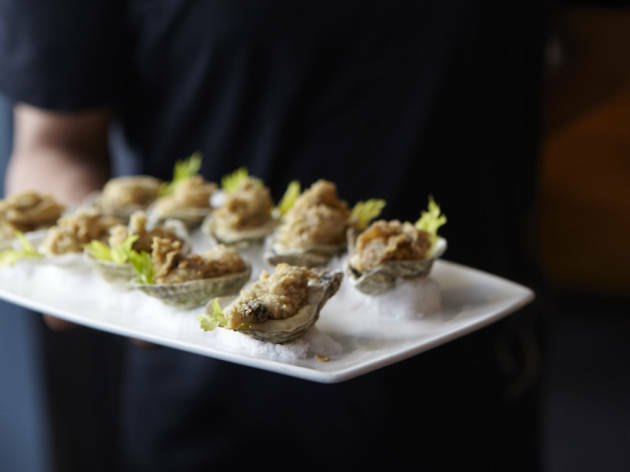 There’s always a wait out the door for one of the marble-topped tables or a seat at the bar, but for oyster aficionados, the wait is worth it. Expert shuckers handle a variety of fresh bivalves with aplomb. The extensive oyster ist is mostly local varieties such as Wellfleets, Cotuits, Island Creeks, and Glidden Point, but other notable selections like Kumamoto are available. Pair with a cold glass of white wine and you’re in oyster heaven. 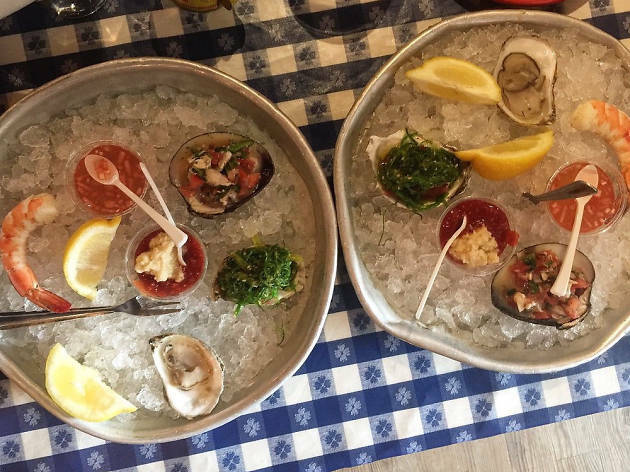 From its home in the heart of Kenmore Square, the original Island Creek Oyster Bar offers an ideal spot for sampling the namesake bivalves. 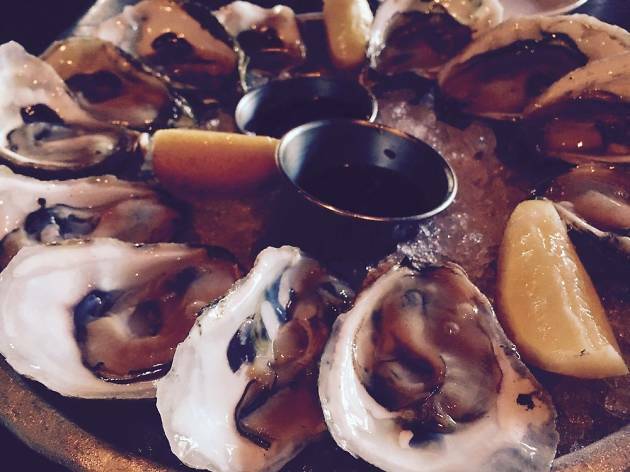 Sustainably farmed year-round in Duxbury Bay, the Island Creeks are sweet, briny, and fresh. The vibrant space blends the rustic aesthetic of an oyster farm with the polish of a modern brasserie. A long, convivial bar anchors the front, while tables—always full with a mix of locals and out-of-towners—stretch toward the back wall that’s lined with cages filled with oyster shells. The lengthy, seafood-focused menu is excellent, but the selection of world-class oysters from near and far is not to be missed. 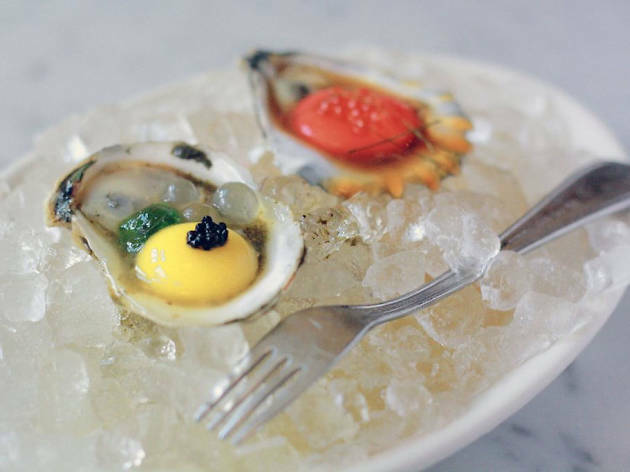 Courtesy of Jeremy Sewall and the team behind Island Creek Oyster Bar, Row 34 is a hot spot in Fort Point for fresh seafood and fresh oysters. 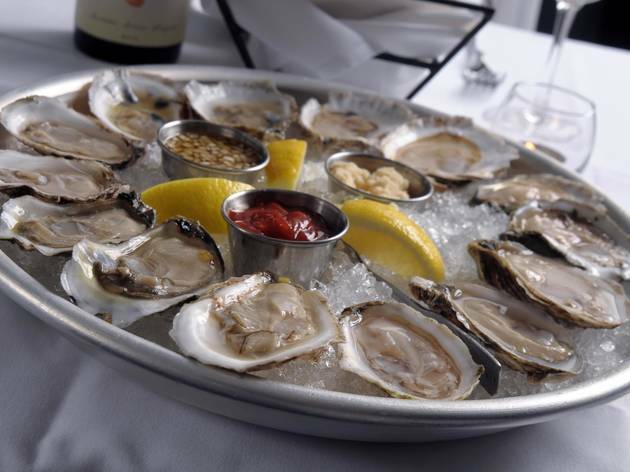 Oysters come fresh from Wellfleet, Duxbury, Plymouth, Chatham, and other regional oyster beds. The team at Row 34 loves beer as much as they love oysters, so be sure to pair your oysters with whatever is recommended from the list of small-production, local, and rare craft beers on tap. Barbara Lynch’s subterranean South End eatery is a perfect spot for a cozy oysters-and-wine date. More than a dozen different East and West Coast oysters are available each day, served with a delightful prosecco mignonette. The staff can discuss each variety at length while offering a perfect pairing from the extensive wine list. For those looking to take their oyster love to the next level, oyster shucking classes are offered by reservation - learn to shuck, tackle a dozen, and enjoy with champagne. 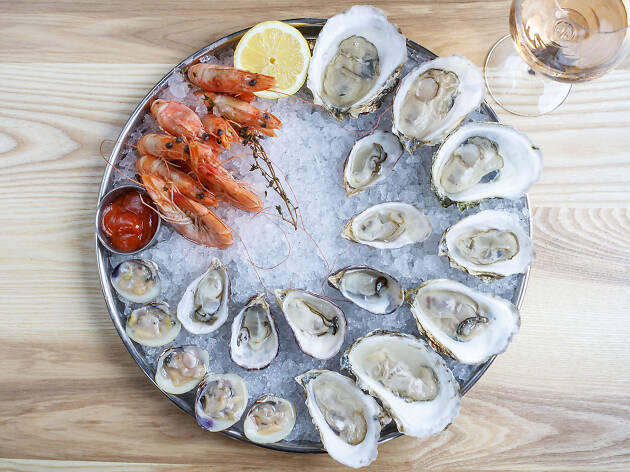 This townhouse-like enclave in the heart of the Back Bay has an impressive raw bar menu that includes both East and West Coast oysters. The wine list is impressive, and usually includes orange wines, a sparkling rose, and other seafood-friendly options. While Select has the menu for a multi-course feast, it’s a popular spot for a quick oysters-and-wine fix. Legal Sea Foods’ flagship location has three floors, each offering a different dining experience. The first floor is where you’ll find the oyster action. Grab a seat at the oyster bar and watch them work, while enjoying the oysters of course - up to 14 varieties are offered each day. The first floor is the most casual dining option, and with sweeping views of the Harbor, it’s a fitting place to enjoy fresh oysters (and other crowd-pleasing seafood dishes). If you don't have time to swing over to Cape Cod for a clambake on the beach, stroll into the Summer Shack. It’s cheery, colorful, and has a laid-back atmosphere that makes you want to kick back and, well, slurp some oysters. 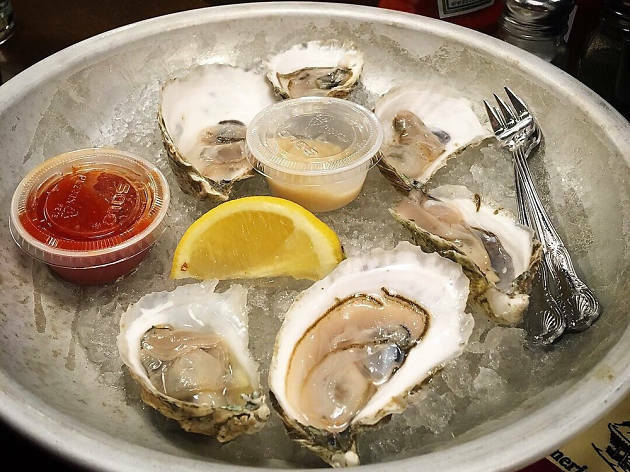 The Alewife location has the biggest oyster bar in Cambridge, with plenty of bivalves and other raw seafood for you to enjoy. Check out the wood-grilled oysters, too. 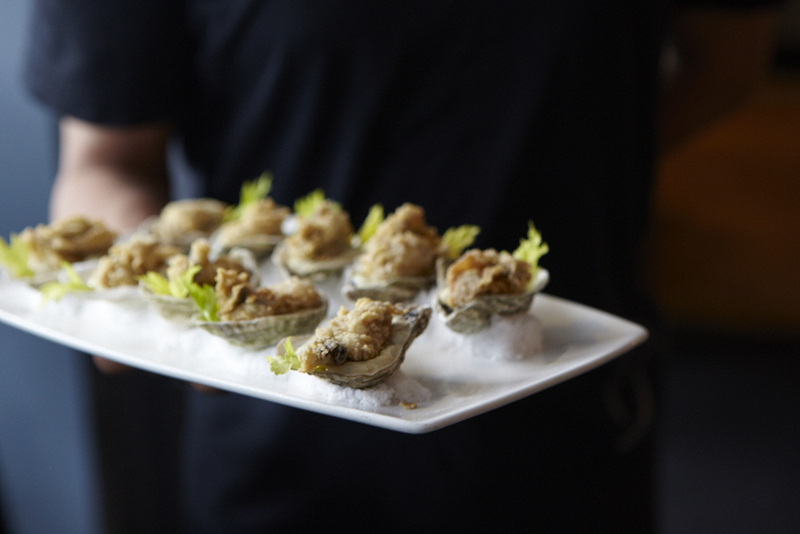 For those who love oysters and whiskey, Citizen Public House has what you need. The oyster bar offers daily selection of fresh, local oysters like Wellfleet and Island Creek. You’re bound to find a whiskey to pair among the 200-plus available. Of course there’s always beer on tap and excellent wines. If you’re a fan of late night oysters, the oyster bar—as well as the menu of elevated pub fare—is available until 1:30am every night. Though a relative newcomer to the North End scene, North Square Oyster—steps from the Paul Revere House, overlooking the oldest public square in America—is a throwback gem, serving classic New England seafood dishes with a seasonal bent. The raw bar is worth a dedicated visit, and the oysters on offer are tasty, mostly local varieties like Peter’s Point, Moon Shoal, Wainno—all with unique profiles. 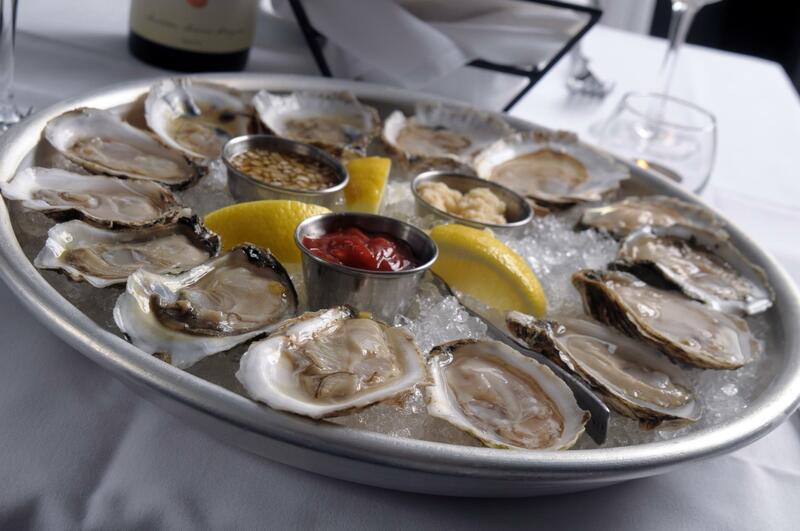 The wine list is seafood-friendly, so be sure to pair with your oyster platters. Laying claim to being America’s oldest restaurant, Union Oyster House (established in 1826) is also one of Boston’s most famous. A steady stream of oyster enthusiasts—including Daniel Webster and JFK—have sidled into the wooden booths for classic New England seafood dishes. 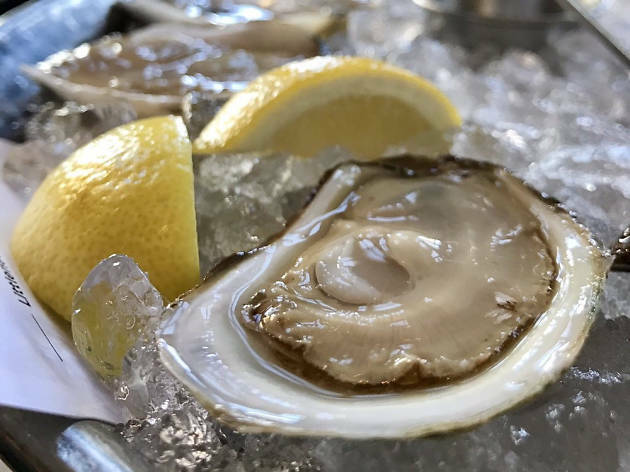 But the historic wooden raw bar—with a view of the skilled and friendly shuckers—is the most in-demand spot, perfect for enjoying fresh, cold Blue Points. Part of North End restaurateur Frank DePasquale’s local empire, this acclaimed seafood restaurant and oyster bar is known for its crudo menu. Hence, the oysters are top notch. A fresh selection of oysters is available daily, and they’re best enjoyed with a glass of wine on the sleek patio which, fortunately, has fire pits and a retractable roof for year-round alfresco dining. 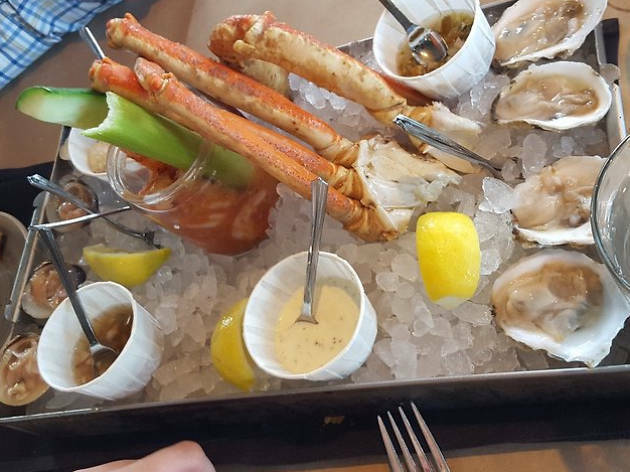 They oyster bar alone is worth a visit, but go ahead—try the shellfish tower for an oyster and seafood extravaganza. 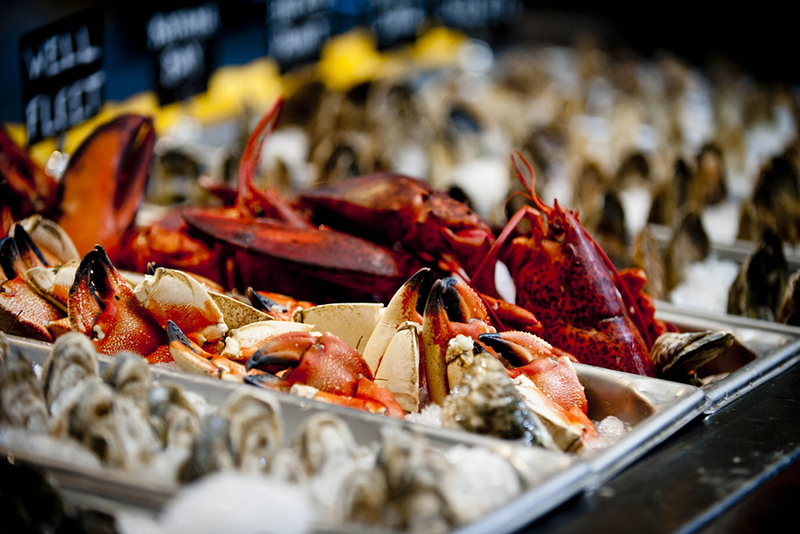 This classy Downtown location of the national chain offers super-fresh seafood flown in daily from around the world. 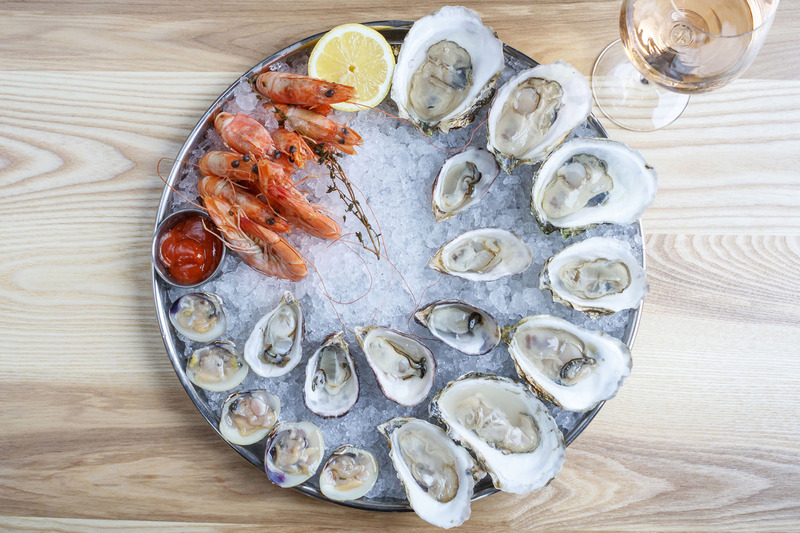 The raw bar is impressive, with a list of oysters from the region, including Island Creek, Duxbury, Blue Points, and Oceanaire Salts. Enjoy a few fresh oysters and a crisp white wine at the bar with the after-work crowds, or any time in the sleek dining room.